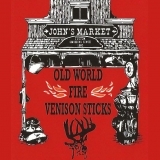 Includes 24 sticks of Fire Venison. Perfect gift or sharing with your buddies. Save money, buy a .. 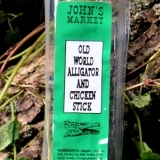 Try our delicious Jalapeno Venison Pepper Jack Cheese Stick! 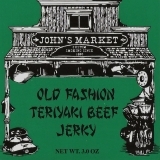 ..
Our sweet Teriyaki Beef Jerky has a mild taste with a sweet kick of teriyaki flavoring. A great s.. 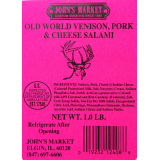 The Venison, Pork & Cheese Salami is one of our cheesiest sausages made with a cubed cheddar .. 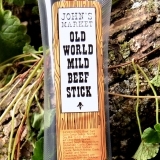 Try our delicious Mild Beef Stick! ..
Includes 24 sticks of BBQ Pork. Perfect gift or sharing with your buddies. Save money, buy a bund.. 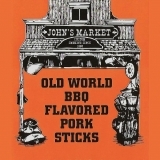 Try our delicious Old World Teriyaki Beef Stick! ..
!VERY HOT! 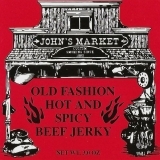 Try our famous Hot N' Spicy Beef Jerky that is covered in crushed red pepper and h.. 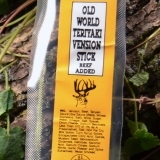 Try our delicious Teriyaki Venison Stick! .. Looking for something a little more tame and mild? 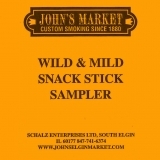 Get the Wild & Mild Snack Stick Sampler. T.. 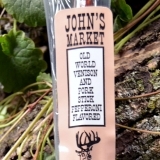 Try our delicious Pepperoni Flavored Venison Stick! 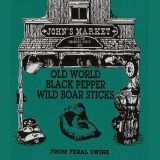 ..
Includes 24 sticks of Black Pepper Boar. Perfect gift or sharing with your buddies. Save money, b..
Our newest addition to our sausage family! Our Jalapeno, Venison, Pork & Pepper Jack Chee.. 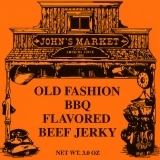 Dipped in our homemade BBQ sauce, try our BBQ Beef Jerky. Low in fat and carbs, it's the perf..